Do what Scouts do! 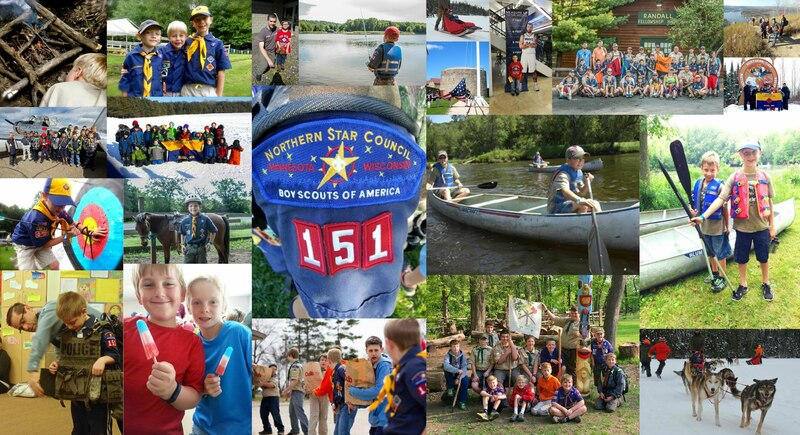 Hugo's Cub Scouts Pack 151 is active year-round. What do Hugo's Cub Scouts Pack 151 boys do? In the last few years our Scouts did a lot! Hiking - sports - horseback riding - St. Paul Saints games - American Legion Honor Guard visit - making lifelong friends - summer camp - S.T.E.M. - archery - fishing - built and launched rockets - Timberwolves games - made s'more's - slept in tents - rock climbing - leadership - dog sledding - Pinewood Derby - bouldering - shooting sports - firefighter, police & EMS visitors - learning about nature - canoeing - swimming - winter camping - supported our military - visit wolves - field trip to Historic Fort Snelling - rocketry - working with positive role models - parades - Monster Jam - ice fishing - Raingutter Regatta - serving our community - outdoor skills - Commemorative Air Force visit - pontoon boating - helping others - high adventure camping - snowshoeing - BWCA visit - cross country skiing - Family Camp - entrepreneurship - proudly carrying on a proud 100+ years of Scouting tradition in the USA.